BFG tires failed to survive the Ultimate Rally. Wait until you see the film! These Mickey Thompson tires are safer and way better than BFG, the mickeys have survived the Sapote tree roots from the Mayan Jungle with no problems. Last edited by ROCK RACER; 01-17-2018 at 17:56. Hola Amigos, check out the unique documentary style adventure film about the real truth about racing and putting everything on the line to make things happen. 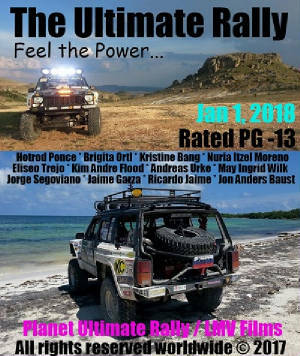 In search for the Ultimate Rally Adventure, a group of minority racers decide to organize the first true outlaw race in the Americas racing through the most treacherous tarmac and off road terrain. They experience numerous epic adventures and a twist develops that makes them head back to Norway. Adapted from the REAL LIFE adventures of Hotrod Ponce, the Minority Racer. Don't miss out on to watch this special extended version filmed in Norway, USA, Mexico and Belize. If you're a fan of Fast and Furious and Miami Vice you'll notice a less than subtle nod to the dramatic scenes from these series but in The Ultimate Rally it's all for real. No stunt doubles, no Computer Graphic Images! 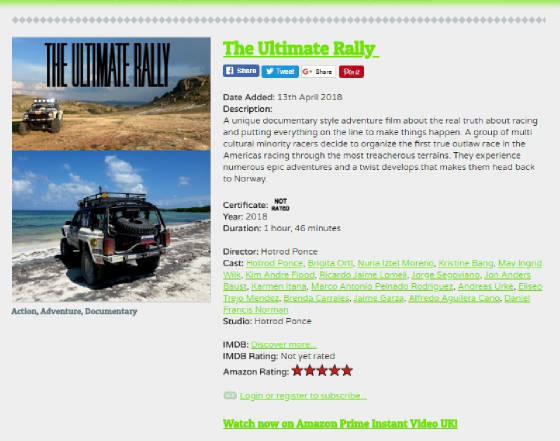 Please don't forget to watch the special version of The Ultimate Rally now available on Vimeo on Demand before the other version gets released on Netflix, iTunes, Amazon Prime, GooglePlay, Xbox, PlayStation, and Hulu in 2-3 months. Glad to be free and not in prison! Next Stop is the Romford Film Festival in London for the UK Premiere of The Ultimate Rally movie in May. Tusen takk for your support. Last edited by ROCK RACER; 04-10-2018 at 00:56. 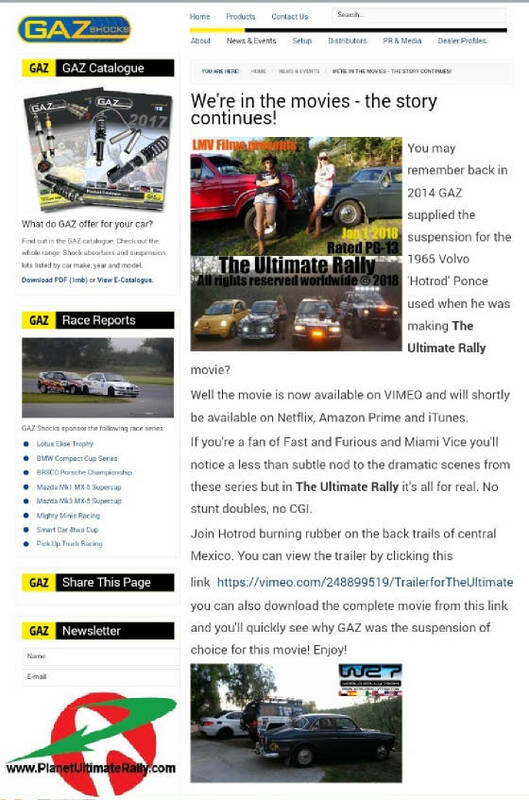 After battling many sleepless demons, The Ultimate Rally movie is now streaming on Amazon Prime Video USA & UK for millions to see in the USA and United Kingdom! Thanx again for your support. Takk for støtten.